How long should you spend in Venice? Whether you have one, two, or three days, here's what to see and do in the time you have to spend in Venice, Italy. Gondoliers on the Grand Canal in Venice. Venice, done properly, takes about a week (if only to get over the shock of the crowds and for time to get away from the tourist-bedeviled main squares and streets). I'm assuming you don't have a week; few people do. That's why I totally understand if you have to settle for a minimum of two to three days. Then again, for all I know you have only a single day to spend in this most serene city of canals. With that in mind, here are several perfect itineraries that'll help you pack as much sightseeing as possible into however much time you have to spend in Venice. These are the itineraries for those who are lucky enough to have full days to spend in La Serenissima. These are the plans for folks who spend part of their first day in Venice simply getting into town and getting settled. What is the "arriving on Day 1" stuff about? There are actually two kinds of vacation days: days in which you actually do have 24 hours to do everything you want, and days were you have to spend part of the time traveling—either arriving in town, or heading off to the next destination. Most "suggested itineraries" out there assume that you have full days. I travel all the time, so I know that's not always true. Venice is at least several hours from the other major cities, so whether you're arriving by air or by train, driving in or coming off a cruise, you will likely spend part of "Day 1" of your Venice sojourn just traveling—say, getting from the airport or train station (or driving and parking) and then getting to your hotel. In that case, "Day 1" is really just an afternoon, and you'll have to adjust your ambitions accordingly. To that end, I provide both kinds of itineraries to help you cram the most into whatever amount of time you have in Venice. What if I have four or five days to spend in Venice? I figure, if you have more than three days in Venice, you'll want to start branching out into lesser-known sights and experiences that appeal to you personally—and who am I to tell you what to do? To help you find those sights, I've also compiled quick lists of both the top sights in Venice and of my own favorite sights and experiences after countless trips there (and covering it in a half-dozen guidebooks) over the past 25 years. You can pack more in with a tour: Prefer to leave some of the planning and information-providing to a professional? Consider signing up for a guided tour. You really should spend your time on whatever catches your own interest. Some people would rather get a root canal than spend several hours in the Accademia, but for others an afternoon of Old Masters would rank as the highlight of their trip. Same goes for shopping, or gondola rides, or cramming a dozen churches and museums into a single day: Heaven for some, hell on earth for others. 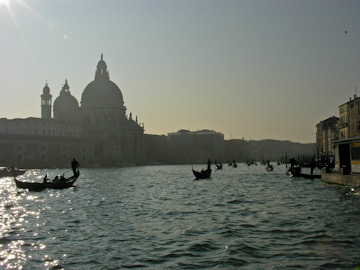 For some less-famous sights to visit, check out Reid's List: Venice. Keep in mind: These itineraries are designed for the first-time visitor who wants to be sure he or she gets to all the highlights—all the must-sees. But what if you want to avoid the crowds that pack those highlights, or you've already done St. Mark's, the Doge's Palace, and a gondola ride and are looking for less famous—but still rewarding—sights? 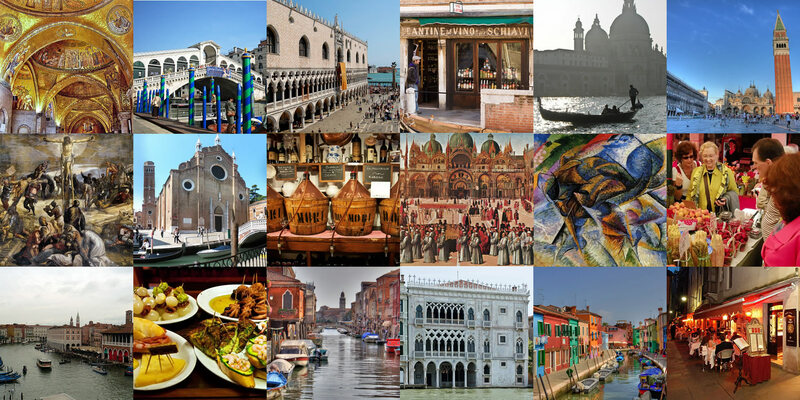 As luck would have it, I have whipped up Reid's List of Venice sights and experiences devoted entirely to this purpose. These are sights from the B-list (sometimes the C-list) that I happen to love and that are definitely worthy of your time—in some cases, perhaps more worthy than some of the more famous sights. Keep in mind that you may have to adjust these itineraries in case one of the days you're in town happens to fall on a Monday (when most museums are closed) or a Sunday (when many things are closed, and those that remain open tend to operate on shorter hours). If any of your days in Venice happens to be a Sunday, do not miss the 6:345pm mass in the Cathedral of St. Mark's—the only time they throw on all the light switches to illuminate all of those amazing gold mosaics. Keep in mind that these are maximal itineraries, designed to cram as much a reasonably possible into the time allotted. Aside from that, there is no down-time built in for relaxation—which you really should have. You're on vacation, after all. I suggest using these but maybe dropping a sight which interests you less (or curtailing your time at a couple of sights) in order to carve out from some free time to just sit at a cafe, writing postcards and watching the carnival of Italian life swirl past. This article was written by Reid Bramblett and was last updated in April 2015 .